Rollins Family Health Care decided to include aesthetic skin treatments as one of their services after years of requests from patients. 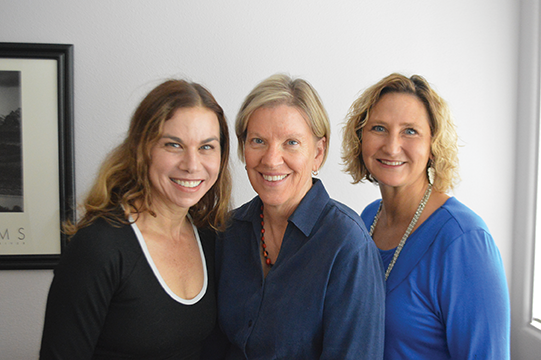 Dr. Jani Rollins was familiar with Miranda Briggs’ extensive experience as an aesthetician and approached her last year with the idea of offering state-of-the-art aesthetic care to patients. She joined Dr. Rollins and Patrice Frires FNP last summer and is enjoying being part of their team. Medical Aesthetics is a rapidly growing industry of non-surgical procedures designed to enhance the health and beauty of skin. The procedures she offers require specialized training and certification in aesthetics, knowledge of laser theory, instructional training hours, and practical experience with safety and efficacy protocols. Miranda is a native of Ashland and grew up as a Grizzly. She is raising her family in Ashland and her children are Grizzlies as well. As an outdoor enthusiast herself, Miranda is very aware that overexposure to the sun can cause damage to our skin. Protective clothing as well as sunblock lotions can aid in protecting our skin. For damaged skin, medical aesthetics can rejuvenate and restore a youthful appearance. The aesthetic therapies she offers stimulates the skin’s collagen with the use of nutrient-rich products, laser treatments, RF (radio frequency), PRP (Plasma-Rich Platelets) and MicroNeedling treatments. She also appreciates Jani and Patti’s holistic approach towards looking and feeling one’s best as the end result is very natural appearing. Can you discuss some of the benefits that are provided by these treatments? One reason people come to our office is they feel they are listened to and are offered a treatment plan that is in-line with their personal beauty goals. At Rollins Family Health, we offer genuine and realistic care and aim to create a youthful appearance that is natural appearing. Many people say they feel young on the inside but their skin looks old. We offer non-surgical treatments that are meant to bring body (face), mind, and spirit in harmony. I love connecting with people on a one-to-one basis. 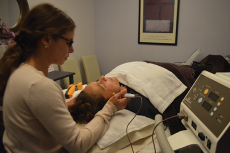 A person can expect an individualized aesthetic analysis and all questions are addressed before beginning treatment. I perform treatments with state-of-the-art lasers for treatment of unwanted hair and spider veins. Another modality I offer is MicroNeedling. MicroNeedling stimulates the production of new collagen by vertically piercing the skin. I am seeing great results using the COSMOPen medical-grade delivery system. 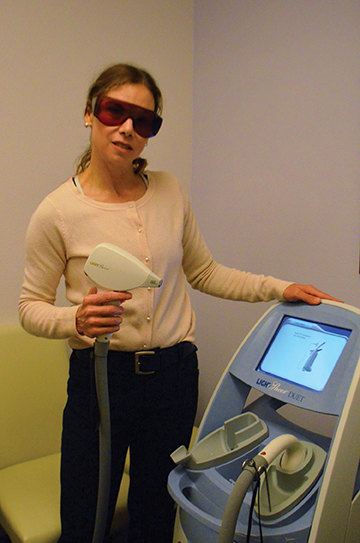 It offers similar results as a fractional laser without pain, downtime, expense, and thermal damage. And it is much more affordable. Another service we offer is Pellevé wrinkle-reduction treatment, which is FDA-approved for safely treating mild to moderate wrinkling. It is the wrinkle-fighter using what is considered the most comfortable process. Using radio frequency waves, Pellevé gently heats your skin until it reaches a designated temperature. This increased temperature is what begins the process of skin tightening, by controlled damage to the subcutaneous tissue that stimulates new collagen growth. A single Pellevé treatment can provide visible results and further treatments build upon those initial improvements. A cutting-edge treatment at Rollins Family Health is the use of Platelet-Rich Plasma (PRP) Therapy for patients. What is PRP? Platelet Rich Plasma is a sub-fraction of a person’s blood that is crucial to wound healing. When used for skin rejuvenation, PRP releases growth factors into the skin to expedite the body’s own repair process and stimulate new collagen and elastin. Dr. Rollins or Patti Frires draw the patient’s blood. This sample is then placed in a centrifuge and the PRP is separated from the other components. The PRP is then topically applied to the skin immediately following a MicroNeedling procedure. The micro-channels created by MicroNeedling provide direct pathways to the deeper layers of the skin for optimal wound healing. MicroNeedling with PRP application is an ideal treatment for smoothing fine lines, wrinkles, and scars or even increasing plumpness and overall rejuvenation of the skin. Another PRP service is called Vaginal Rejuvenation. Vaginal Rejuvenation is a new, noninvasive treatment that aims to alleviate female sexual dysfunction, enhance vaginal tightening and helps with incontinence and vaginal dryness associated with menopause or breastfeeding. PRP (platelet-rich plasma) from a woman’s own blood is centrifuged and injected directly into the vaginal area. The full effect comes over the next few months as PRP stimulates the stem cells, collagen and blood vessels. In the same way PRP regenerates the skin of the face, it appears PRP regenerates healthy vaginal tissue. Dr. Rollins performs this procedure. One of the the benefits of offering medical aesthetics in a family practice setting is that our services can benefit the whole family. I work with teenagers dealing with acne or having unwanted hair removed so they are no longer embarrassed by hair on the upper lip, arms or legs. Men come to see me for hair removal particularly on their back or chest. Dr. Rollins and Patti Frires perform Botox injections as well. 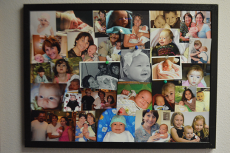 The gift is being able to work with patients of all ages and with varying aspects of aesthetics. It really is rewarding work! Many of your clients report feeling very pleased with their treatment results. What are you hearing? You attribute much of the your success to the treatment philosophy that both you and Dr. Rollins share. Please say more. Jani, Patti and I make a good team. We value each individual patient and our philosophy is to make each experience positive. We are direct and candid and don’t offer unrealistic promises that will lead to disappointment. Our motto is “under-promise and over-deliver,” focusing on quality not quantity. We plan to offer “girls’ nights” for women just like a book club or social gatherings. Evenings will include education and performing some of the services and offer specials such as Botox and chemical peels. Jani is known as a very personal and heartfelt doctor. 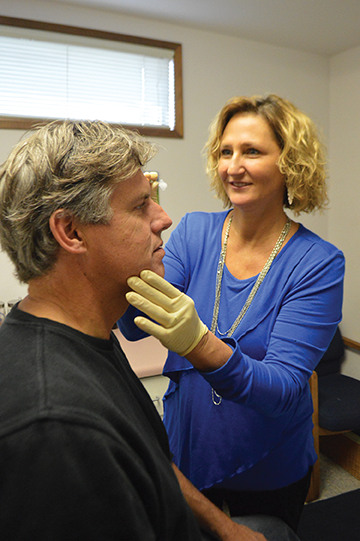 She is loved by many in Ashland and is willing to do what it takes to provide excellent care to her patients. While working in the office I have seen Jani personally helping mothers with babies and toddlers get from the building to their car in the parking lot. Good old-fashioned qualities such as the value of service play into how we provide comprehensive attention to our patients. Patients tell us that coming to our office feels safe and are confident that they are receiving good medical care. What are the first steps in the process of working with your clients? The first step is a free consultation which patients can schedule online at www.rollinsfamilyhealth.com. I talk with our patients openly, being truthful in describing what is realistic and what services can make a difference to get their desired results. I believe it is important to have a personal connection and listen so the patient feels heard and understood. Then I have the patient fill out an intake form and make sure there are no contraindications to treatment(s). Next, the patient schedules their initial appointment online at www.rollinsfamilyhealth.com. People say they choose to work with me because they feel comfortable and enjoy the time spent in their initial consultation before any treatment begins. I explain to each patient what to expect before their first treatment, how to prepare for it and discuss any questions. We also discuss what they can expect after treatment in terms of skin care and downtime. How do you make treatment plans that meet customer expectations? Our treatment plans are signed off by Dr. Rollins or prior to the initiation of services. If the patient is interested in Botox, Voluma, Juvaderm or Vaginal Rejuvenation, we can also discuss specific consultations for those services. What are some of the expectations and desires that your customers are expressing? Our patients are telling us how excited they are that Dr. Rollins is offering medical aesthetics as a part of her practice. It feels comfortable to see your family doctor and know there are additional services available if desired. One message we are receiving from patients is they like no-nonsense care and affordable services performed by a skilled and personable technician. Since we are a family practice office, we have many patients experiencing their first contact with medical aesthetics services. We offer free consultations so people can educate themselves and make a decision that feels good to them. I often hear patients tell me it’s time to do something about their appearance. “I want to be proactive in taking better care of myself,” or “feel more comfortable with myself.” Sometimes women say that the way they feel on the inside is not reflected by their aging skin. How do your treatments change quality of life? We want to promote a feeling of well being in our clients. One example of a happy patient is a twenty-year-old who has suffered from acne scars now feels more confident and less self-conscious. Another patient who has had improvement in her quality of life is a fifty year old woman who has decided to be proactive about her aging skin. She started a MicroNeedling series of 3 treatments spaced a month apart and was excited after only the first treatment. I have another woman in her early seventies seeing improvement in her skin-tightening with Pellevé treatments. What does the transformation process actually look like? Our services are not instant “wow” or “you had work done!? !” It’s a gradual improvement so it fits with people’s lifestyles. We offer education about what happens to our skin as we age and discuss options. Let’s face it, the expense for medical aesthetics comes from a person’s discretionary income. I keep this in mind as I craft what is the best plan for their dollar. By talking with patients and spending the time necessary to help a them define their beauty goals, we create a personalized plan. I like to be clear and discuss any contraindications. I have steered clients in another direction during a consultation if I think that it is best for them to seek another professional in our community. My knowledge of skin types and medical contraindications allows me to advise patients about safe choices. I believe that discussing post-procedure protocols is as important as the treatment itself. Finally, how can customers learn more about the services that are being offered? We have all information on our website www.rollinsfamilyhealth.com. Our address is 1025 Siskiyou Boulevard, Ashland, OR. You can call us at 541-488-0873. Holy Canine Candles # WS155 – Featured Vendor of The Month What is an Eyelid Lift?